For more information on flight assistance, contact Dr. Elisabeth Potter. Angel Flight, created by a group of pilots who believe in the benefit of volunteering, is a non-profit charitable organization of pilots, volunteers, and friends. 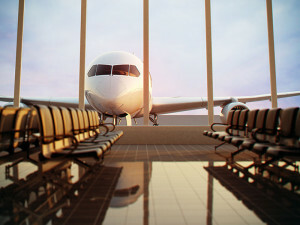 They arrange free air transportation for any legitimate medically related need, especially to people who are financially distressed or who are in a time-critical, non-emergency situation due to their medical condition. Patients using Angel Flight’s services are usually traveling for surgery, chemotherapy, dialysis, and other treatments. There is never a fee of any kind, either to the patient or the health care provider, for an Angel Flight. For more information visit www.angelflight.com. The purpose of the National Patient Travel Center is to ensure that no financially needy patient is denied access to distant specialized medical evaluation, diagnosis or treatment due to lack of long-distance medical transportation. For more information visit www.patienttravel.org, or call (800) 296-1217. Most major airlines service Austin-Bergstrom International Airport (ABIA), with non-stop flights to over 70 cities, including international destinations. Downloadable rideshare app from a local non-proﬁt organization. Female riders can request female drivers. Get an estimate for your trip using the fare estimator tool, and Live ETA allows you to see exactly what time you will be arriving to your destination. Round up your total fare to the nearest dollar & choose your favorite charity to donate the difference.